AN EVENT IN FAVOR OF SPORT, CULTURE AND SHARING ! 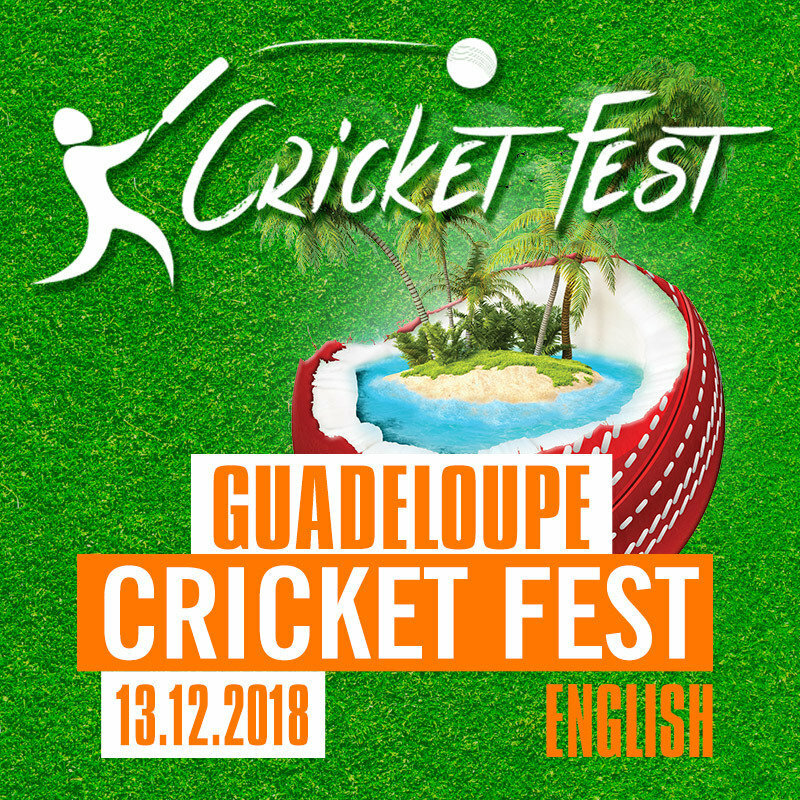 GUADELOUPE CRICKET FEST is a festival organized by French West Indies Cricket that will take place from Monday, December 10TH to Sunday, December 16TH 2018. Gourdeliane’s velodrome, Amédée-Détraux, and the fiesque Duschenne Stadium, in Baie-Mahault, were chosen to welcome this event of stature. Some 20 000 students and 10 000 festival-goers are expected throughout this week to celebrate the beauty of sport and our region’s richness. This operation will endow with a popular and inter-generational dimension, cricket, an unwon sport in our french speaking region, although it is number 1 in the Caribbean Basin. Welcoming of the foreign delegations, meeting for the teamwork and press conference. Dedicated day for the the exploration of Guadeloupe of the stand of Guadeloupe bandits richness offered to the foreign delegations by the Tourism Committee of the islands of Guadeloupe (CTIG). Throughout the day, families will walk around vast paths of the festival village that will offer several areas dedicated to the practice of sport, to health and well-being as well as stands of our local products, not forgetting the promotion of a varied choice of food from our neighbor islands. The festival will represent the Caribbean in its wholeness. Each country of the area will be represented in a spot that will bear its gastronomy, art and sportive life’s colors. In the beginning of the evening, a display match shall be played. It will be the opportunity for renewed Caribbean players to meet public figures of Guadeloupe, who will play along during the demonstration. As a closing, a set of artists will put the spotlight on the Caribbean’s musical richness. A «chanté nwel » (sing Christmas in Creole), Indian dances and « mas a senjan » will blend with sounds brought by the artists from the neighbor islands.